Intrigues and mutual accusations in anticipation of the elections for the head of a large sports federation, are normal thing. But this year, nearly 8 months prior to the elections a huge scandal started, jeopardizing the reputation of no one else – but one of the greatest player in the history – Garry Kasparov. Article by Moskovsky Komsomolets. Those involved, are the ex-World Champion and Russian opposition member, and his right hand – Ignatius Leong from Singapore. Journalists of The New York Times initiated all this, after having received an access to an interesting document. The newspaper published the draft contract of the FIDE Presidential candidate Garry Kasparov with Mr. I. Leong. The latter is one of the most influential figures in world chess, who has been keeping the position of the FIDE General Secretary for a long term. According to the alleged agreement – which of course should not have been made available to mass media, Leong is called to guarantee the votes support in the elections for Kasparov – minimum 11 votes and maximum 15 from his region (Asia). Then the remuneration for the General Secretary: 500k USD in his pocket and then 1 mln USD in parts, during 4 years – to the Chess Academy of his name. As another bonus Garry is supposed to open the FIDE office in Singapore, the thing he cannot do as this is the prerogative of the General Assembly and FIDE Presidential Board. The fact which is also making it more interesting is that the draft document is prepared by a well-known Norwegian lawyer Morten Sand, who is a member of the organizing committee of the Tromso Chess Olympiad, where the FIDE elections will be taking place (normal practice). Mr. Leong’s reputation is unique – some time ago he was an opponent of Ilyumzhinov in elections, but then he joined his team (normal for Ilyumzhinov, after he wins in elections – he offers to his opponent to work together for the sake of chess). Four years ago, before the then elections, this person was acting on the side of the incumbent President and against A. Karpov, who was trying to win the elections. But this year General Secretary Leong made a sudden jump – going to the side of another candidate – Kasparov. Now the reason for this is understandable and clear. Then the reaction of Ilyumzhinov to Leong’s defecting was cool. “In its work FIDE is guided by democratic principles, therefore no one has a right to condemn the decision of the FIDE General Secretary I. Leong, or to forbid him from participating in the electoral office of my opponent” – he said in an interview three months ago. But then the situation changed drastically. Now Ilyumzhinov asked Leong to resign, as his activity damages FIDE image. He also addressed national federations and called upon them not to use the methods as consequence of the contract of Kasparov and Leong. It is clear that this story is very unpleasant for the Singaporean and damages seriously the reputation of Kasparov. It is clear about Leong: he can be treated in accordance with the FIDE Code of Ethics, with a severe punishment regarding the persons violating it (with a possible stripping of a position or a membership up to 3 years). For the first glance, the 13th World Champion is not in any danger – he cannot even “be taken off” the electoral race, as FIDE documents have no basis for disqualifying a candidate or any specific requirements. The necessary thing is to provide the support of 5 national federations. Reputation losses of Kasparov are much worse. He has never hidden that he is intending to use the position of the FIDE President first of all as a post to fight the existing Russian authorities. Now this task became more complicated. It is not a secret that the Grandmaster is holding his electoral campaign with American money, and his main sponsor is named as a US millionaire Rex Sinquefield. But would Sinquefield and Co be ready to also undergo reputation losses from the association with the erred Champion? Most probably no. West is ready to support Kasparov and his opposition, but not as a participant of a public scandal, violating ethical principles, the sacred issue – electoral system. At last, Garry traditionally bet in his electoral campaign for fund raising – raising of cash during some “cocktail receptions”. In this respect his prospects are also very dim. 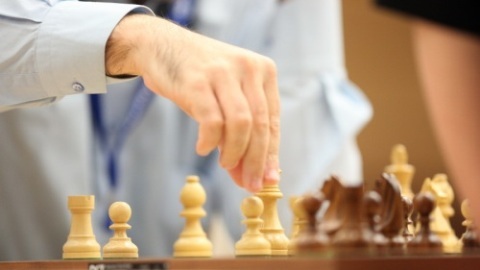 It is very strange that a chess player of Kasparov’s level, who is capable to think for many moves in advance, has not calculated the most simple thing – and without prejudice to the further development of the events – gave a blow to his own reputation. As for the FIDE President, he did not wish to “kick a fallen lion”, and stated the previous day in his interview to our newspaper that “he is not following closely his opponent’s electoral campaign, as he is too concentrated on his daily duties as FIDE President”. He added: “The delegates of the forthcoming FIDE Congress are competent and clever people, and I have no doubts that they will be able to come to correct conclusions and see who is the best candidacy for the position of the President”. Garry Kasparov, a former chess world champion who is running for president of the World Chess Federation, released previously confidential agreements Friday involving himself and one of the officials who is part of his slate of candidates to lead the organization. The New York Times article. An earlier draft contract, reported in an article in The New York Times this week, indicated that the official, Ignatius Leong — who is the general secretary of the federation under its longtime president, Kirsan Ilyumzhinov, who is running for re-election – was paid to join Kasparov’s campaign. The draft also stated that Leong, who lives in Singapore and is a powerful figure in chess in Asia, was being paid to supply votes for Kasparov’s election. But the final agreement, as in the earlier draft, promises to pay Asean Chess Academy, an organization for teaching children that was founded and is owned by Leong, $250,000 annually for four years, beginning in 2013. 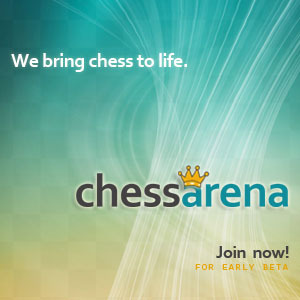 The payments will come through a newly created foundation bearing Kasparov’s name. As in the draft, the agreement can be voided and the final $500,000 not paid if Kasparov is not elected.